Music should always be fun. Then again, it’s hard not to be fun when you’re making music using a joystick controller. Industrial Designer Christian Peetz has designed the DJ Machine, which he refers to as the Finger Orchestra, as his entry for the James Dyson Award. 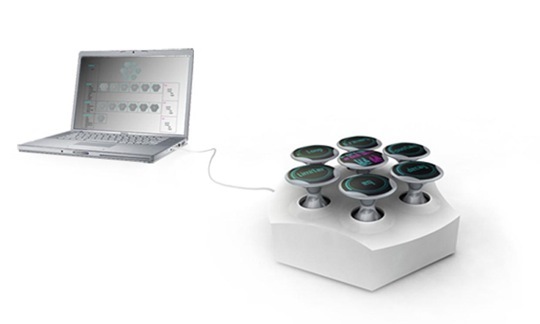 While each joystick controller is programmable, the unit also has the ability to communicate via Bluetooth. More pics and demonstration video after the break! it alright with you. Appreciate it!